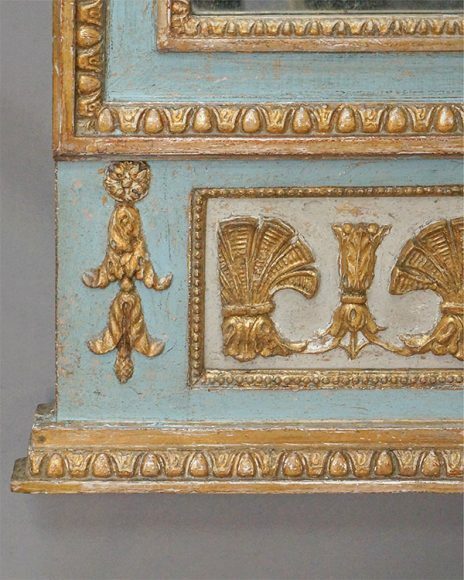 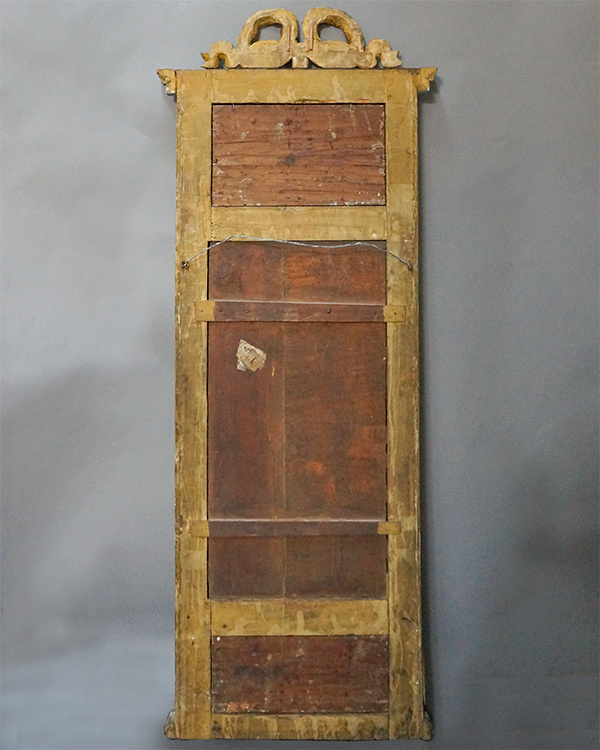 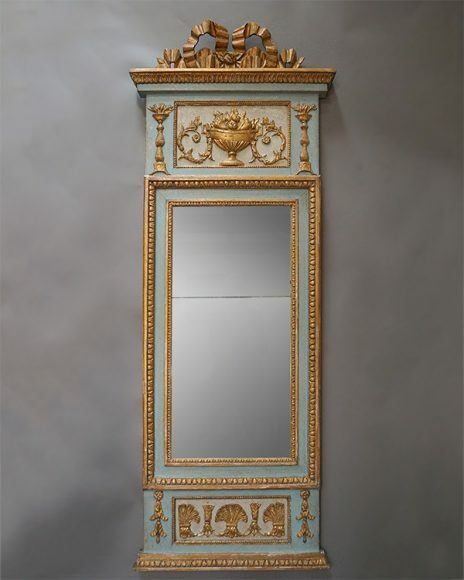 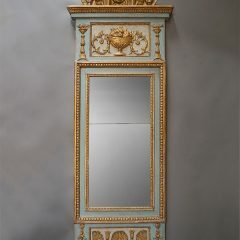 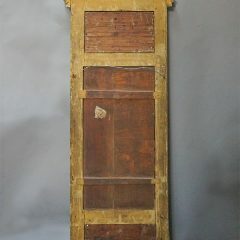 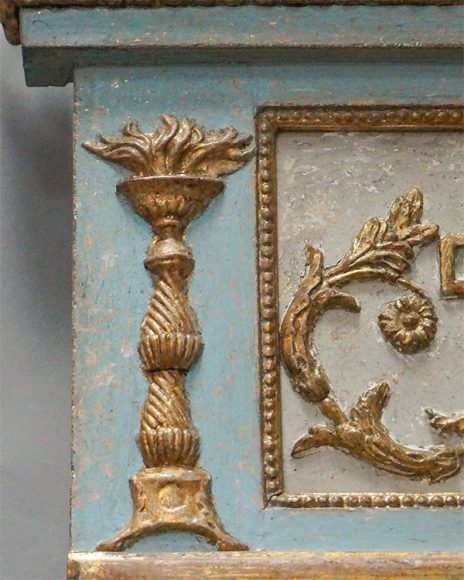 Gustavian pier mirror, Sweden circa 1790, with original split mercury glass panels. 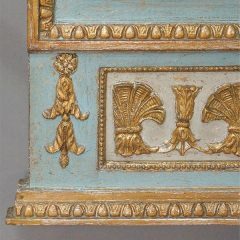 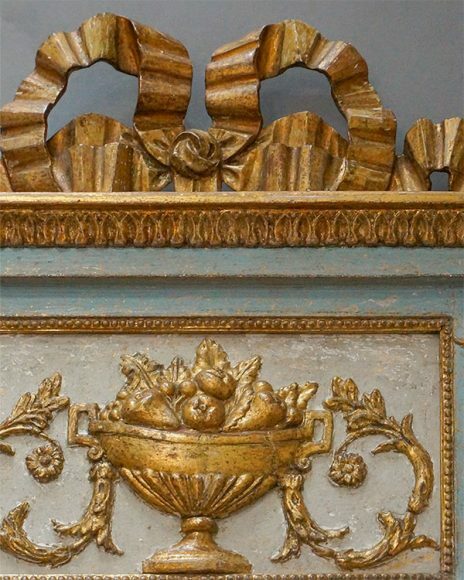 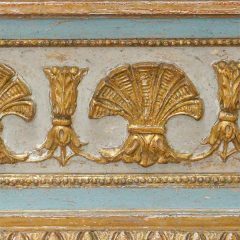 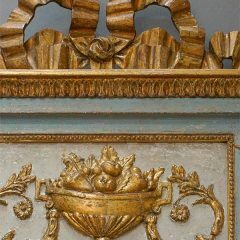 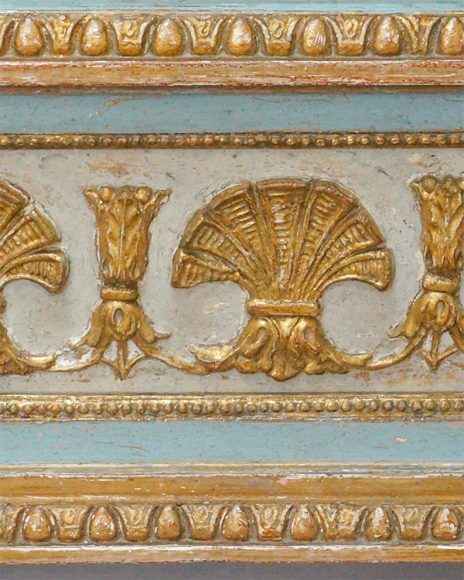 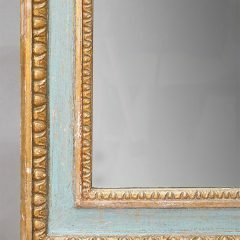 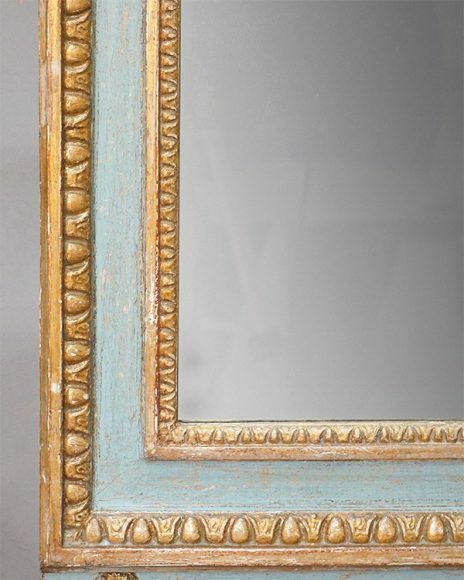 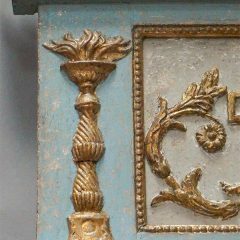 The beautiful frame has a carved bow at the top and panels of gilt elements above and below the glass. Original painted surface and back.